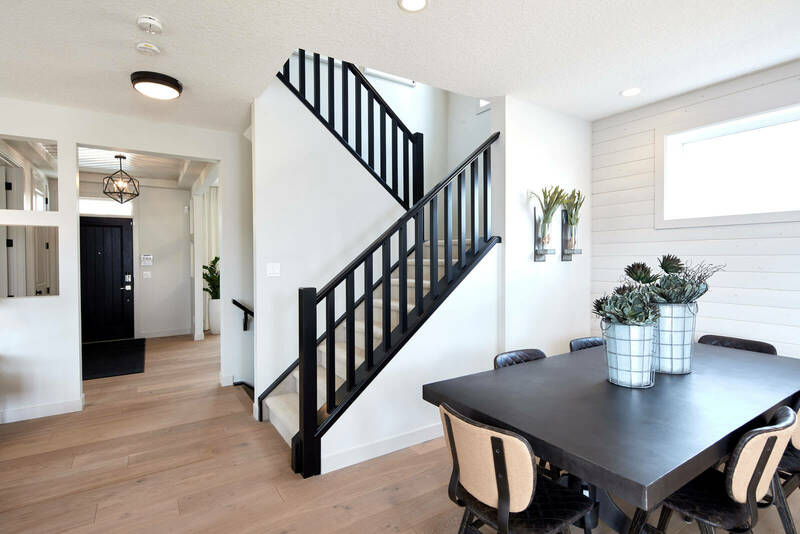 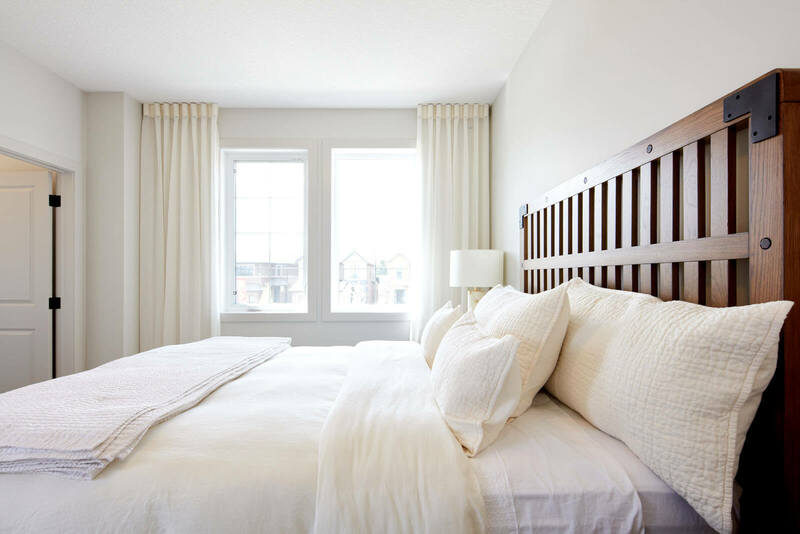 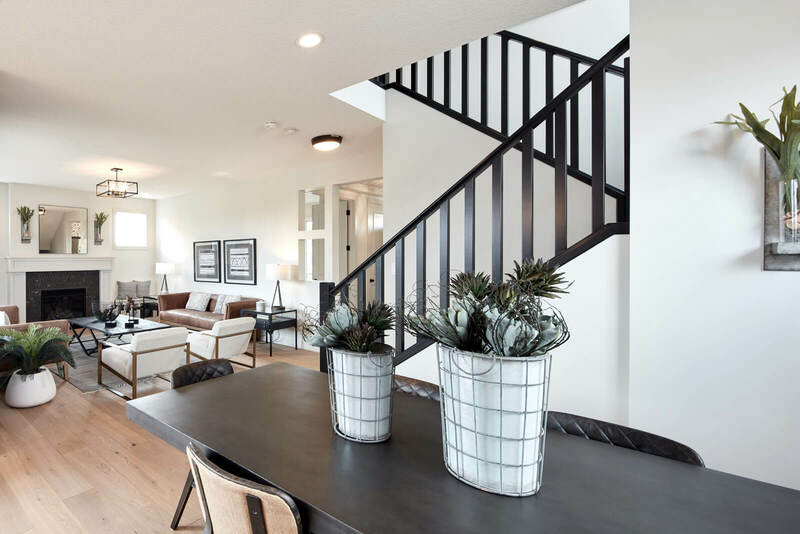 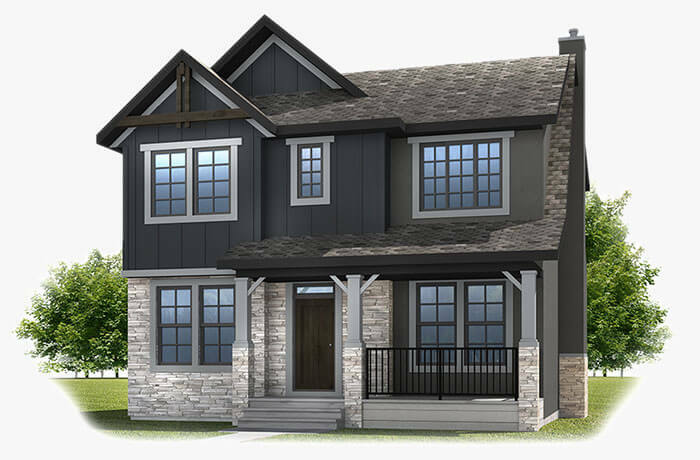 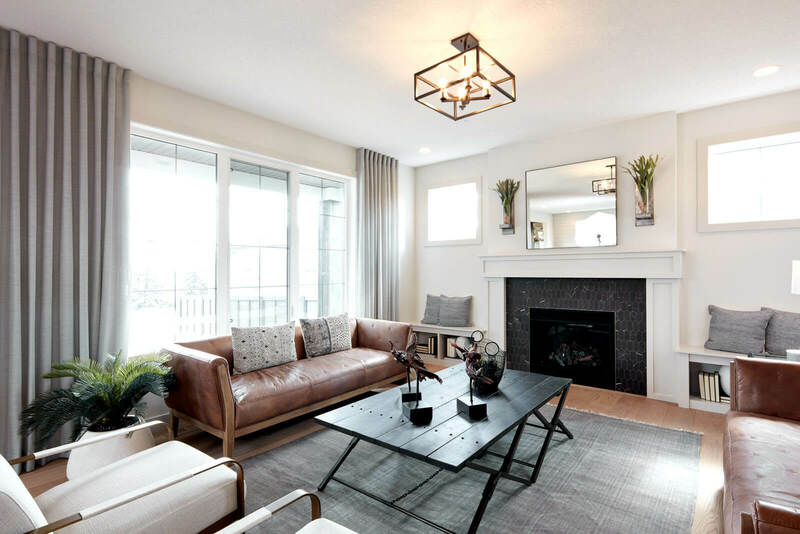 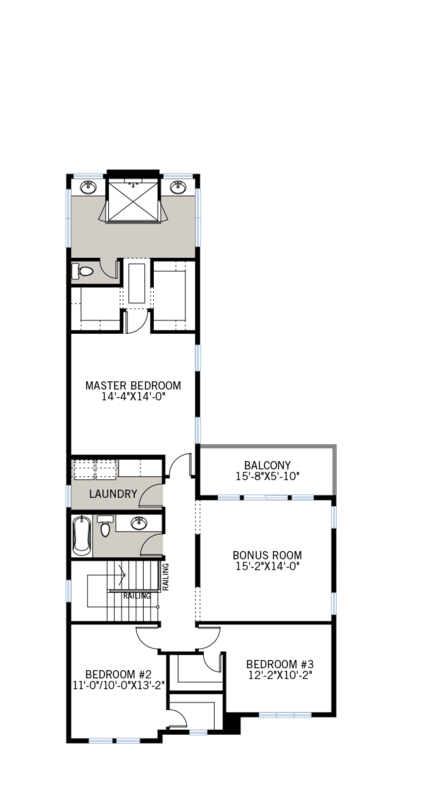 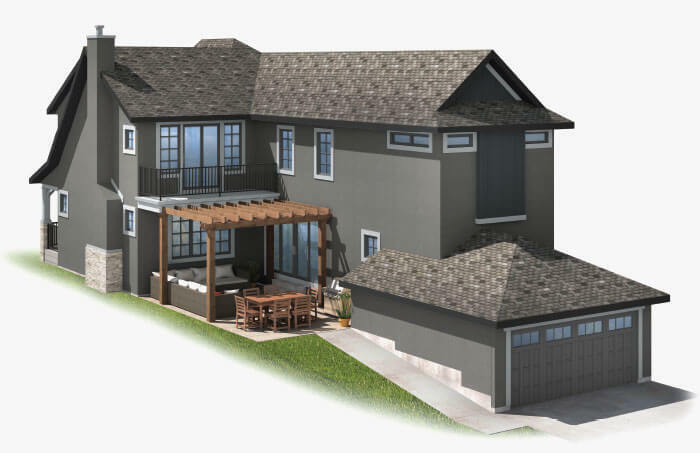 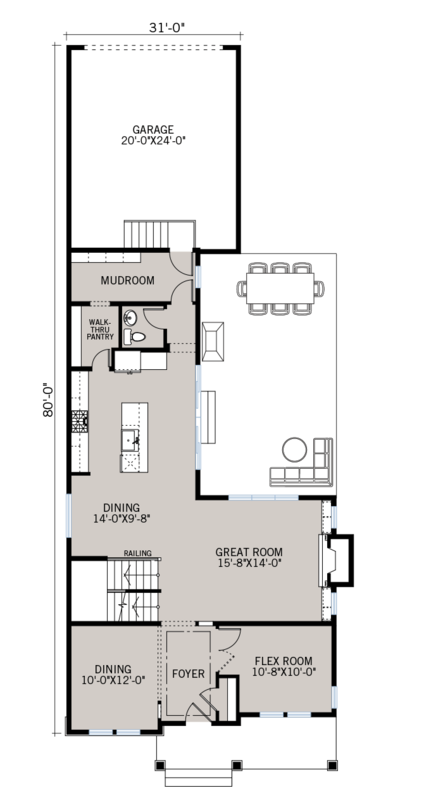 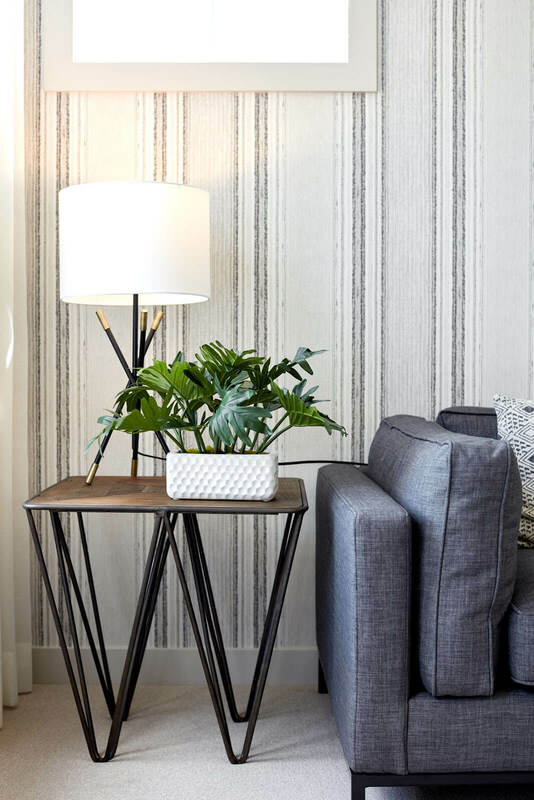 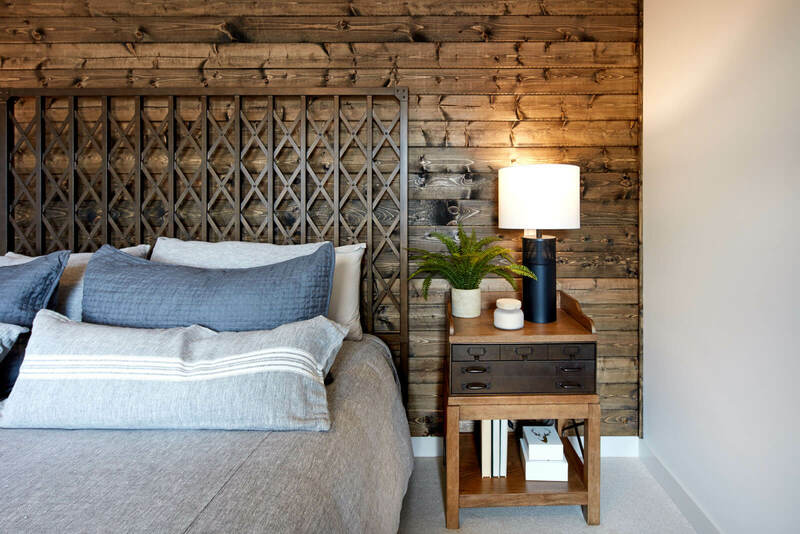 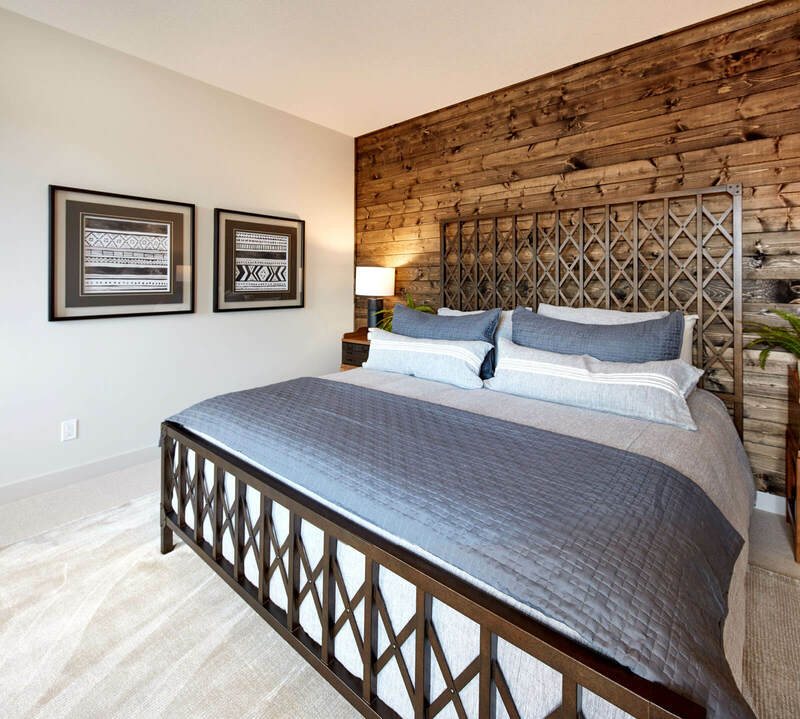 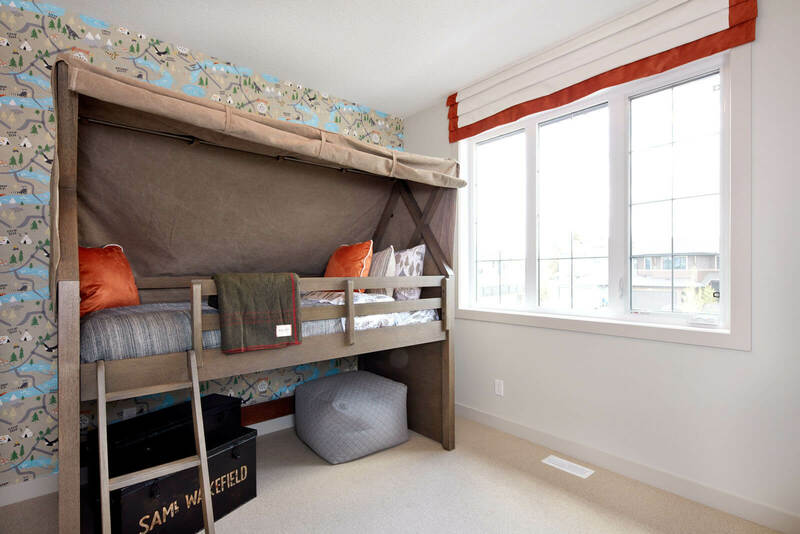 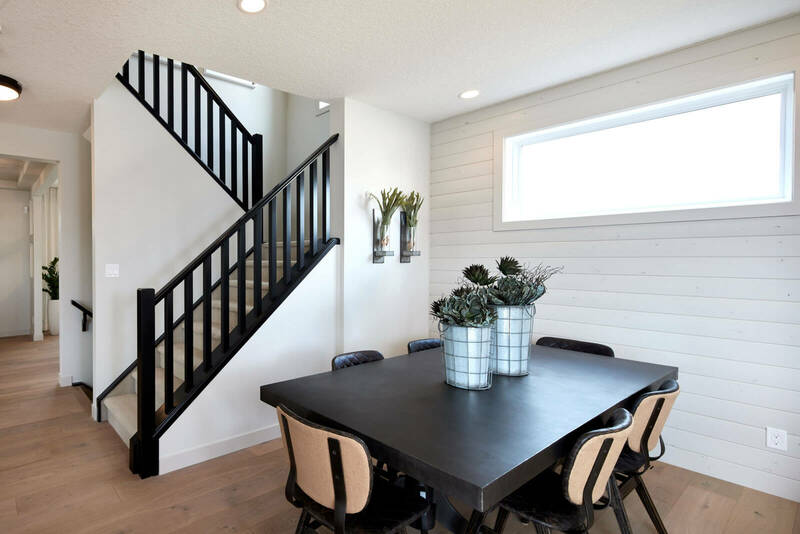 Inspired by the recent shiplap wall craze, this Ivey Court model home features a crisp clean palette with strong architectural elements to create an on-trend, modern farmhouse feel. 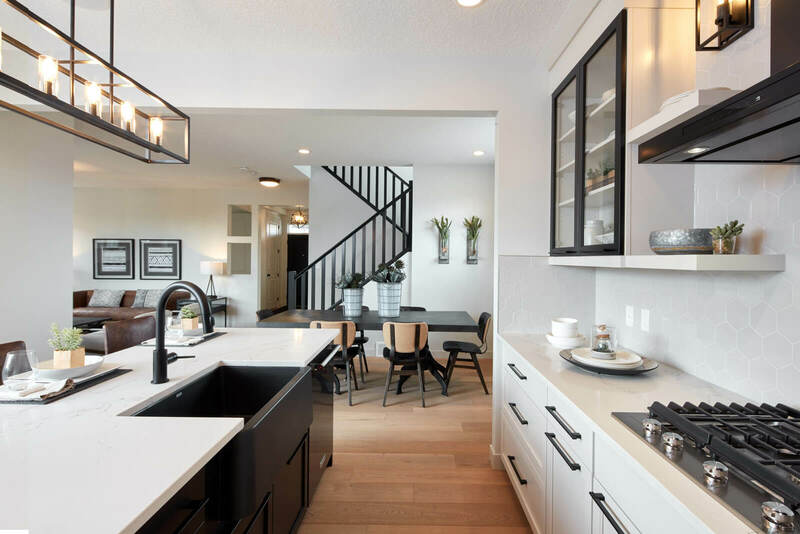 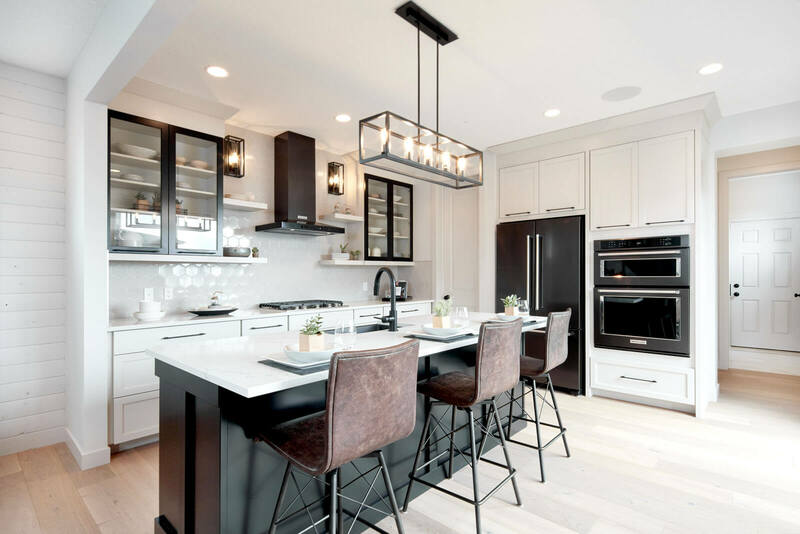 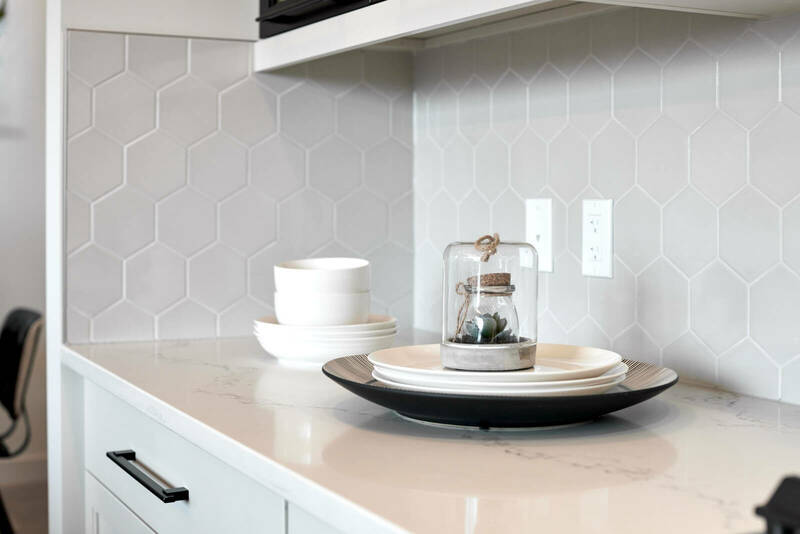 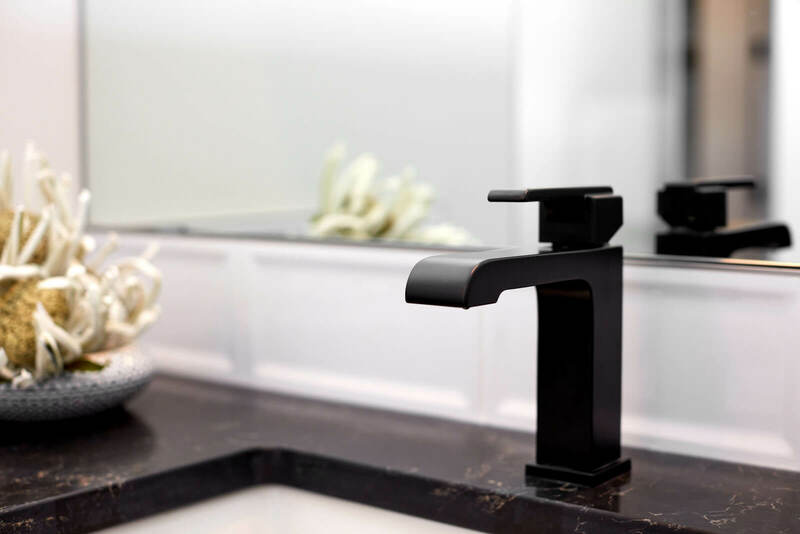 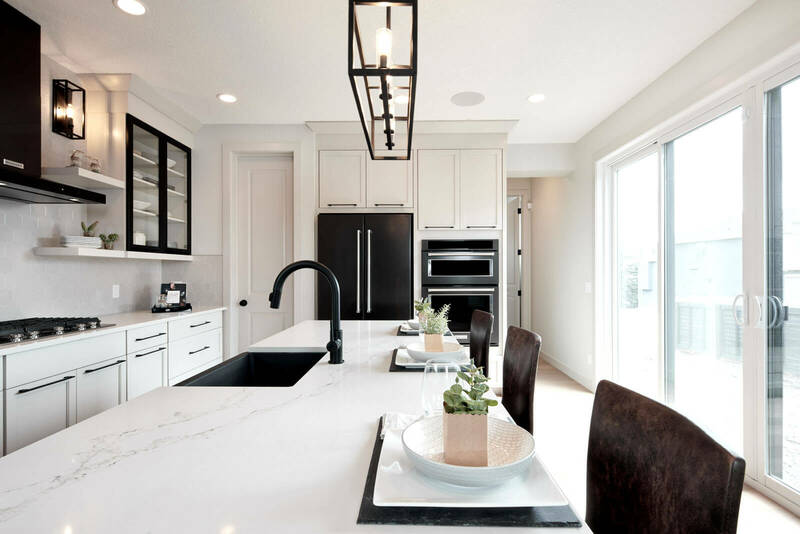 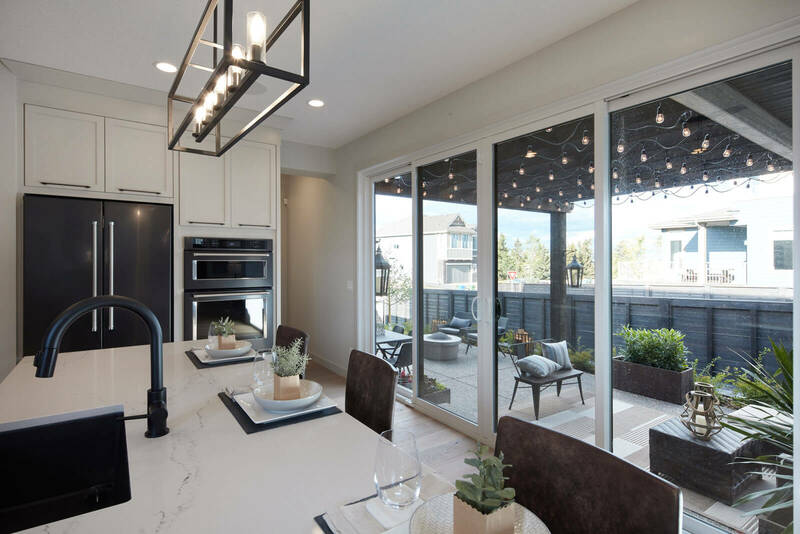 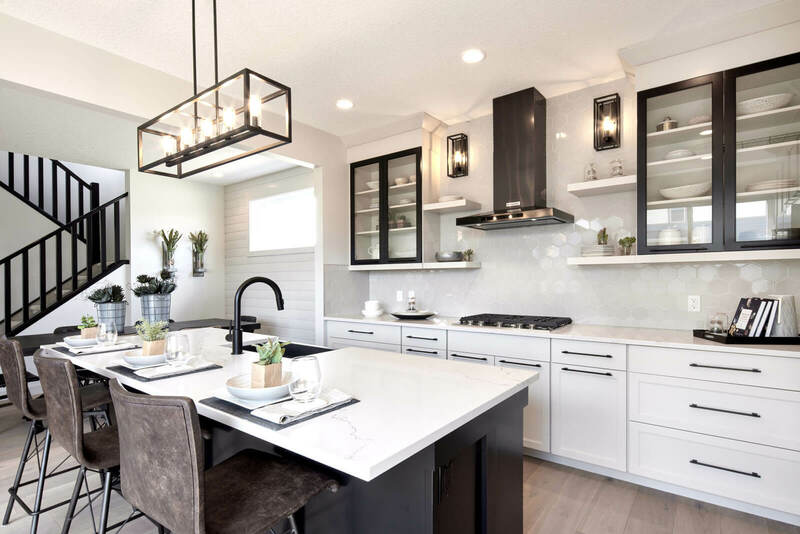 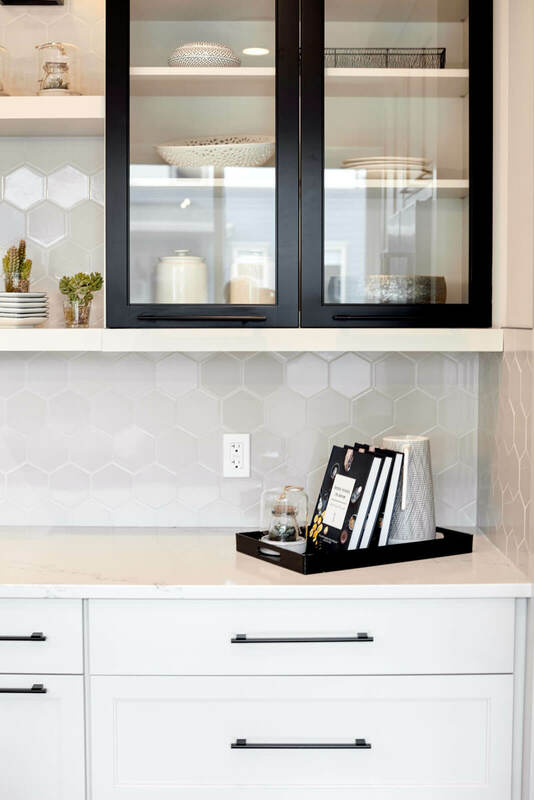 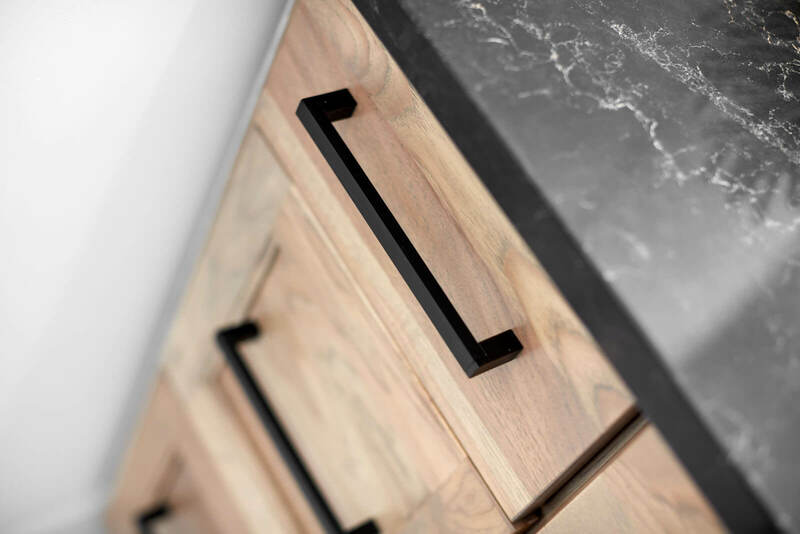 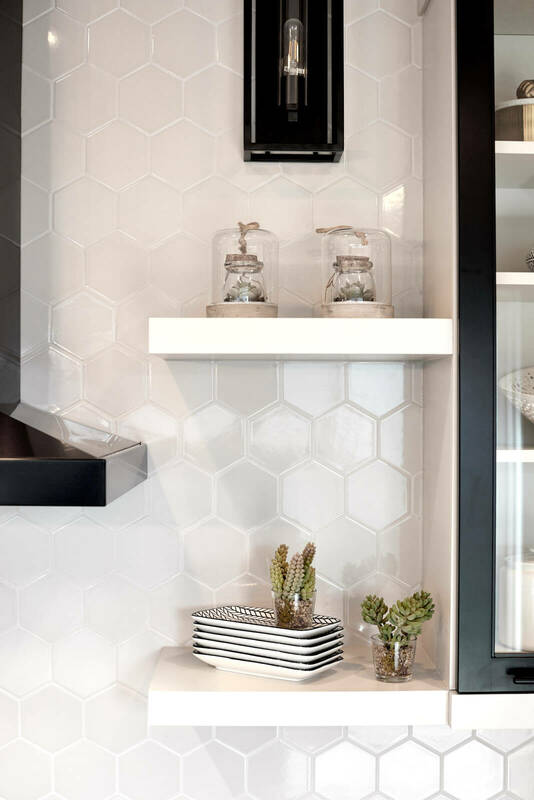 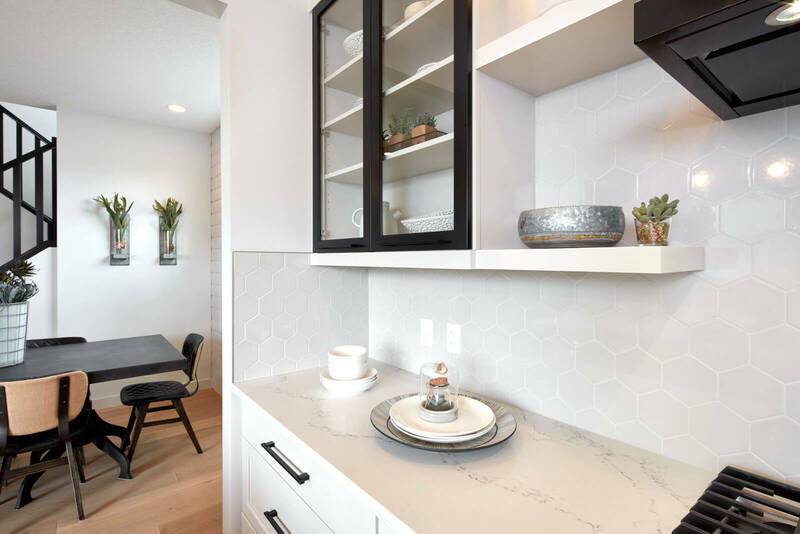 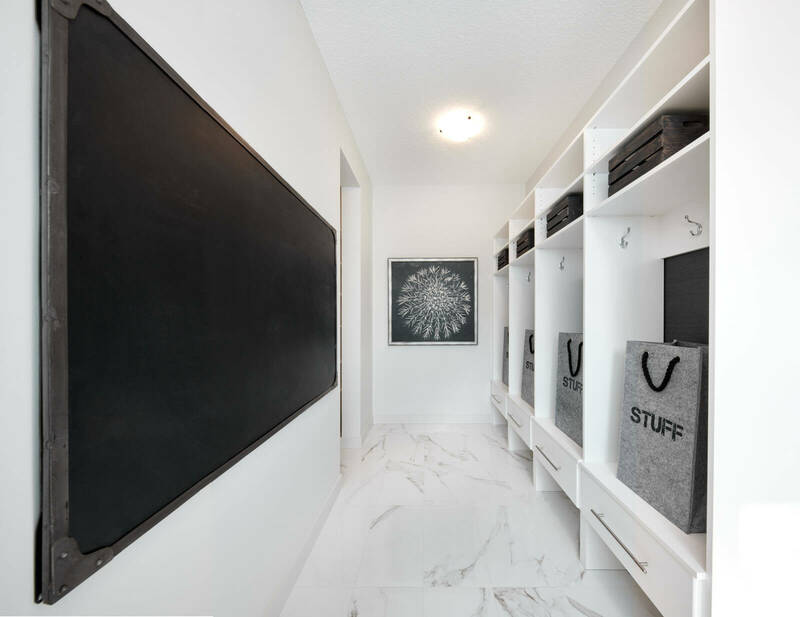 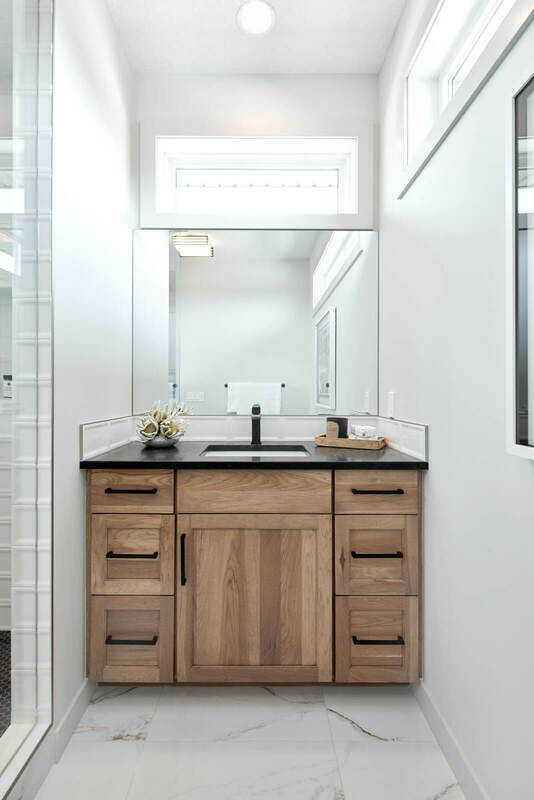 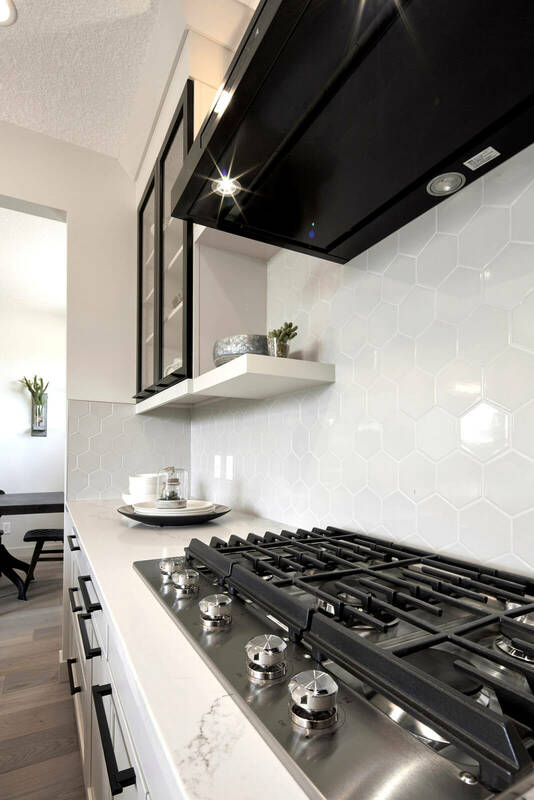 Soft dove-coloured cabinets and a glossy, light-grey hexagon-patterned backsplash is complimented by sleek, matte-black features and finishes. 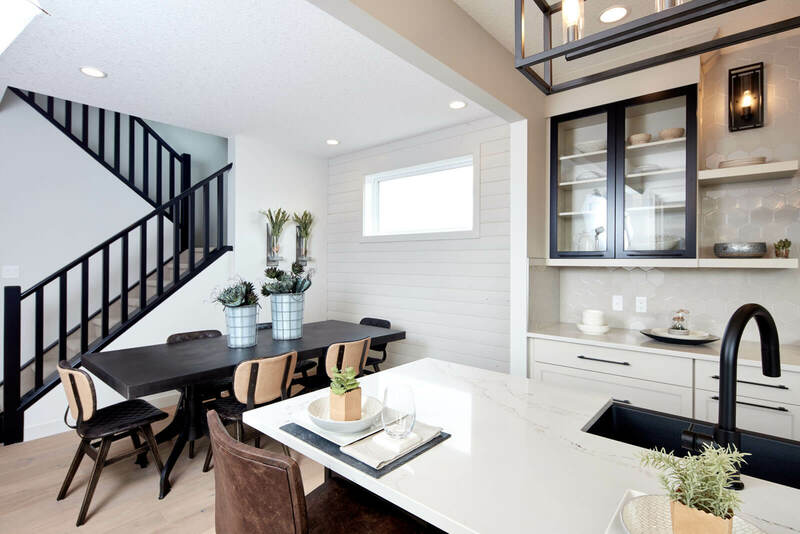 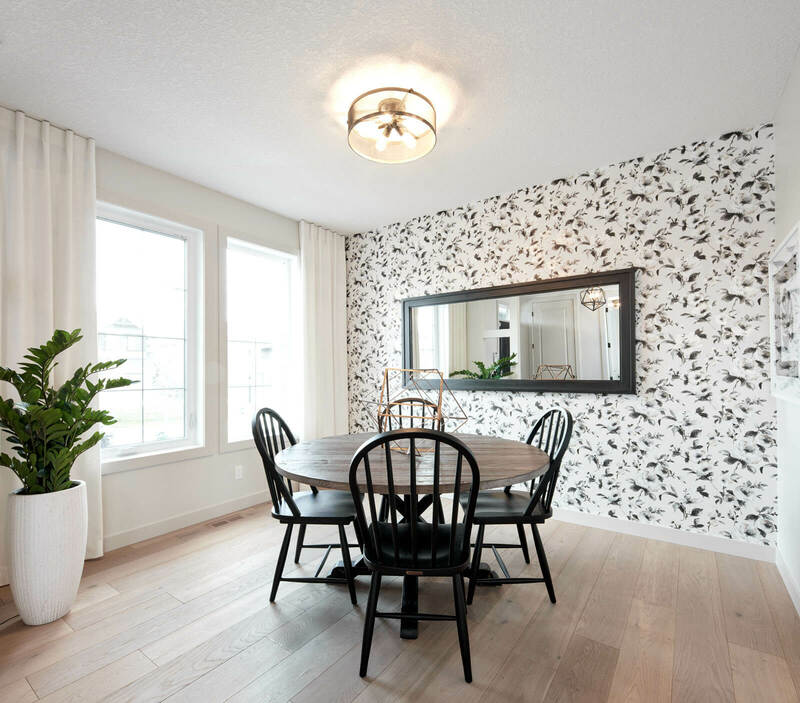 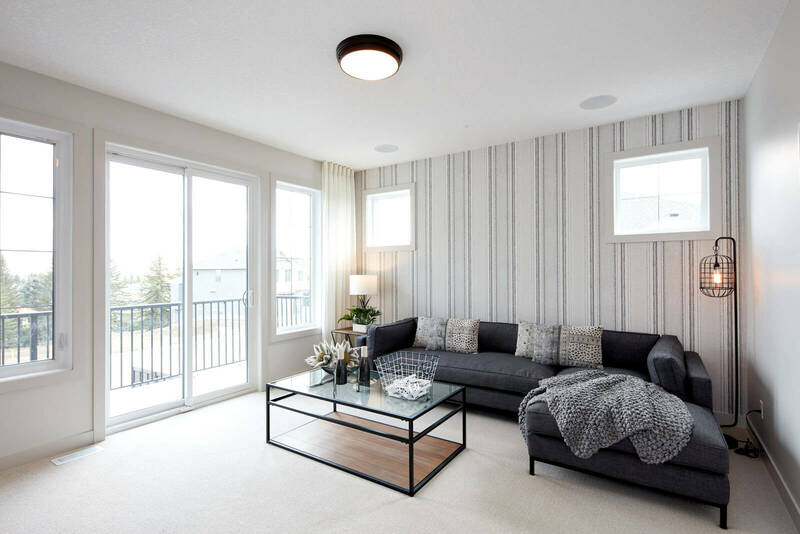 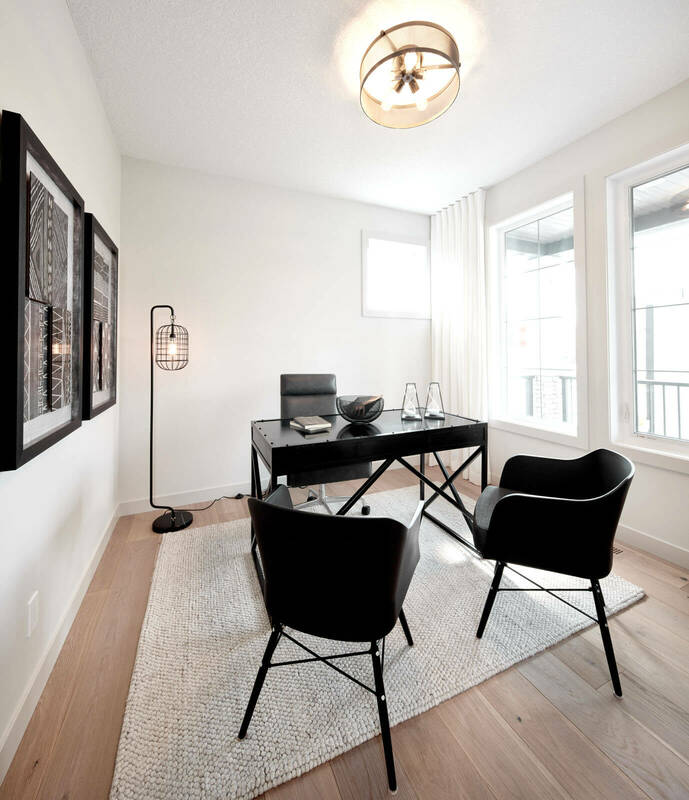 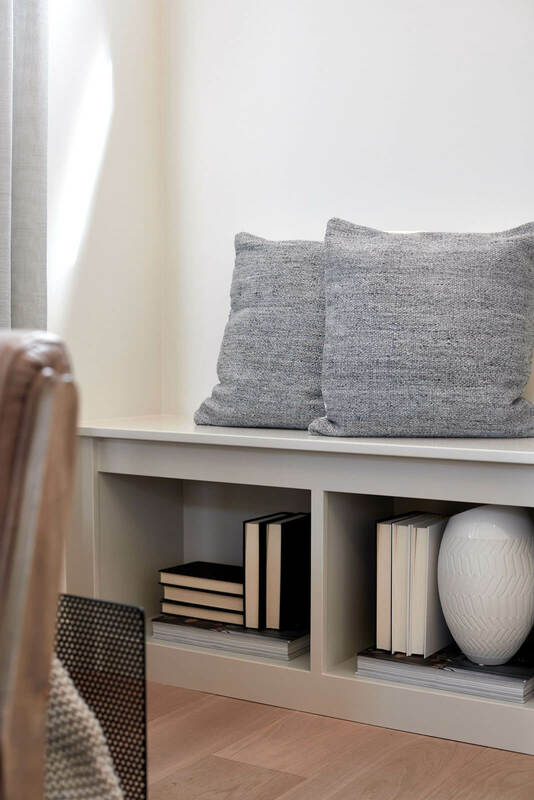 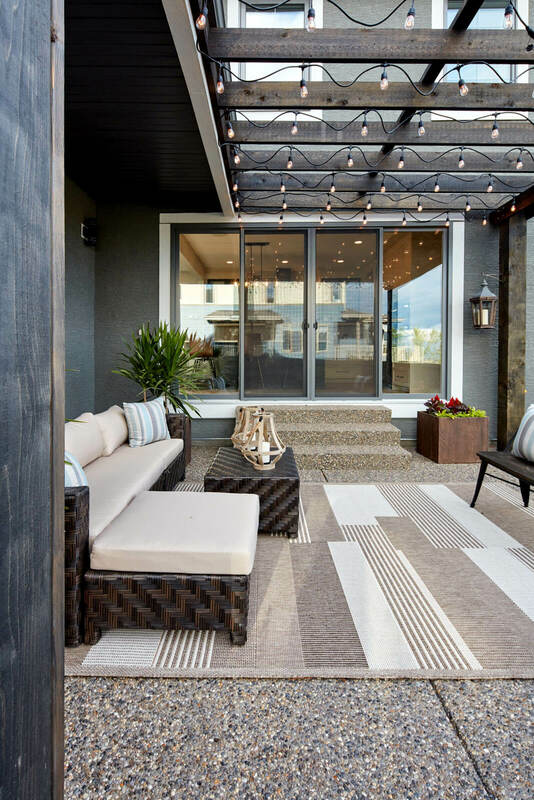 Bold contrast between textures, patterns and colours is carried throughout the entirety of this home creating a visually stunning space that also provides optimum flow and function. 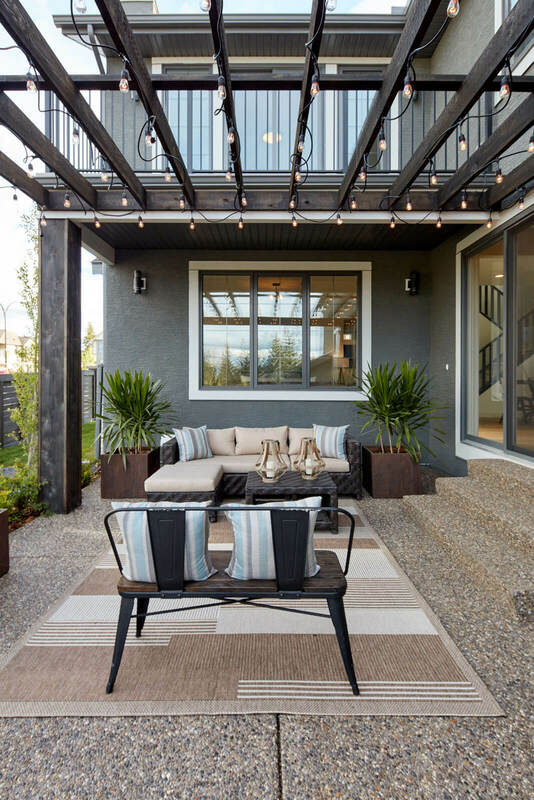 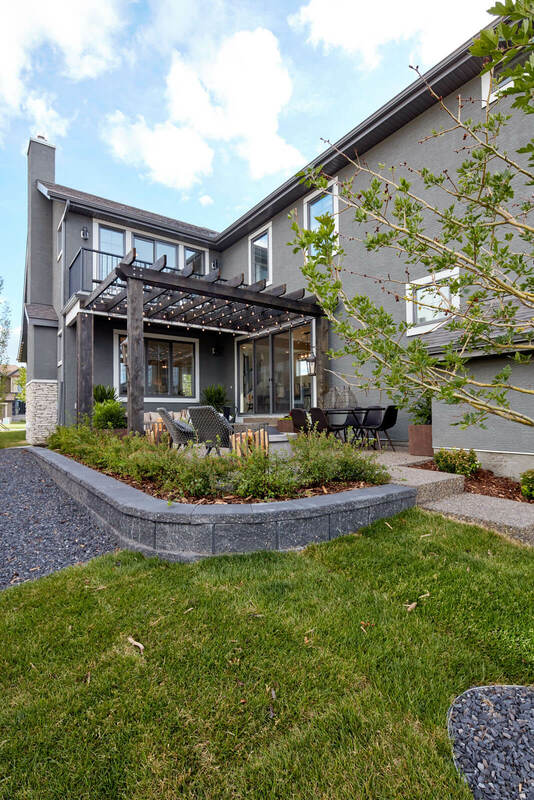 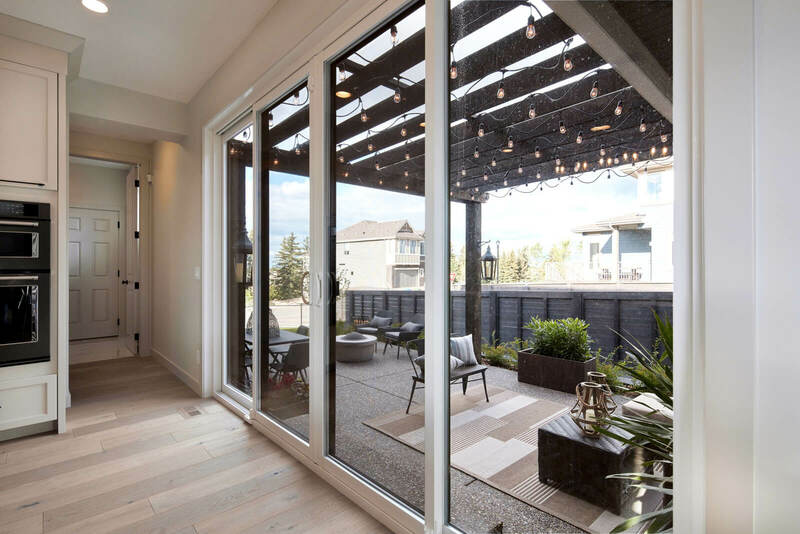 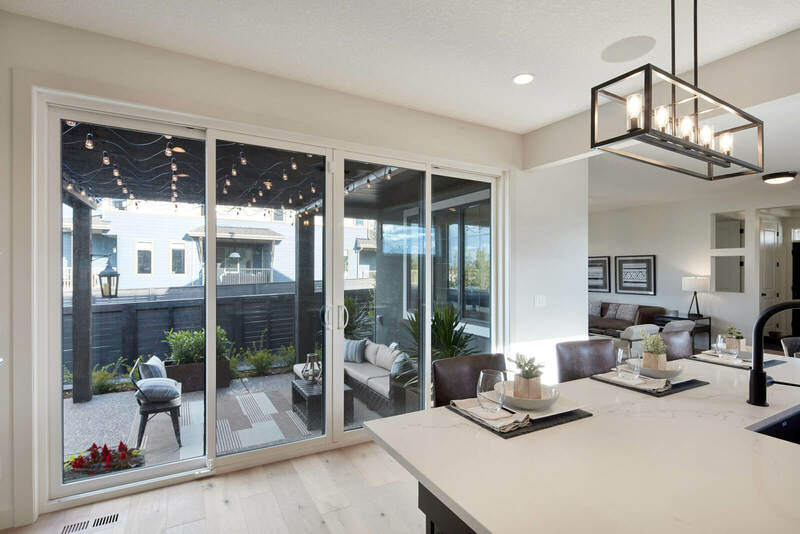 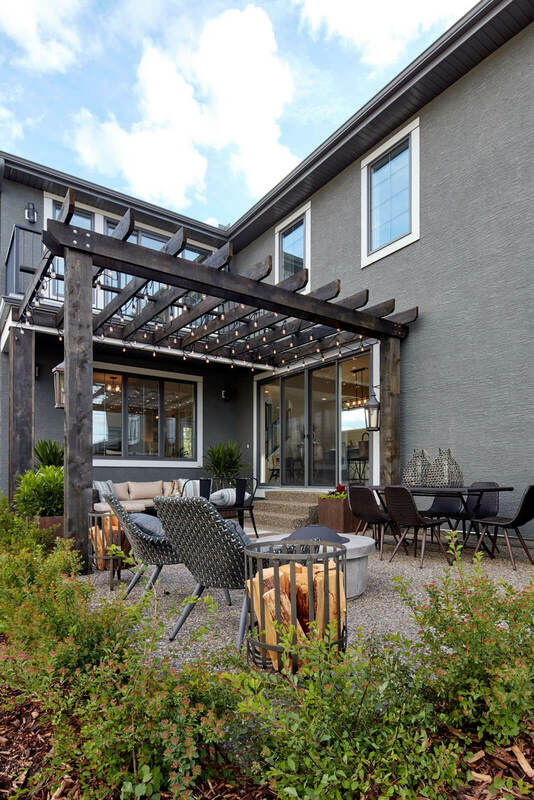 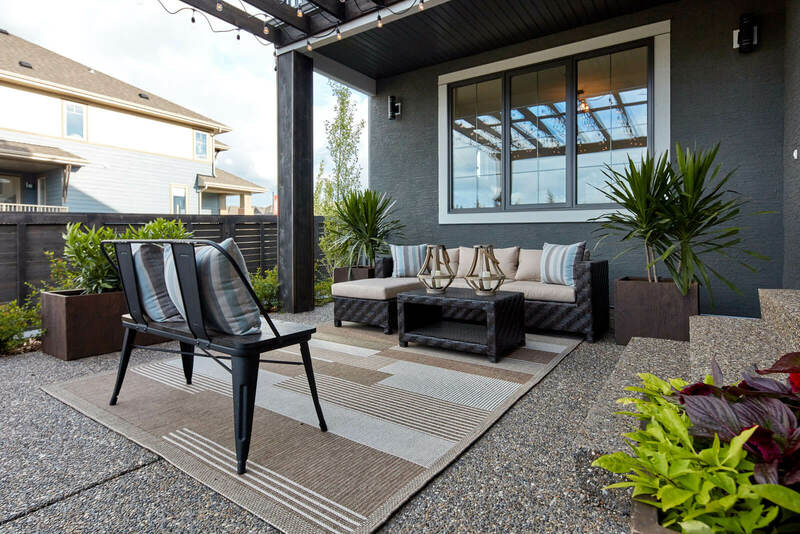 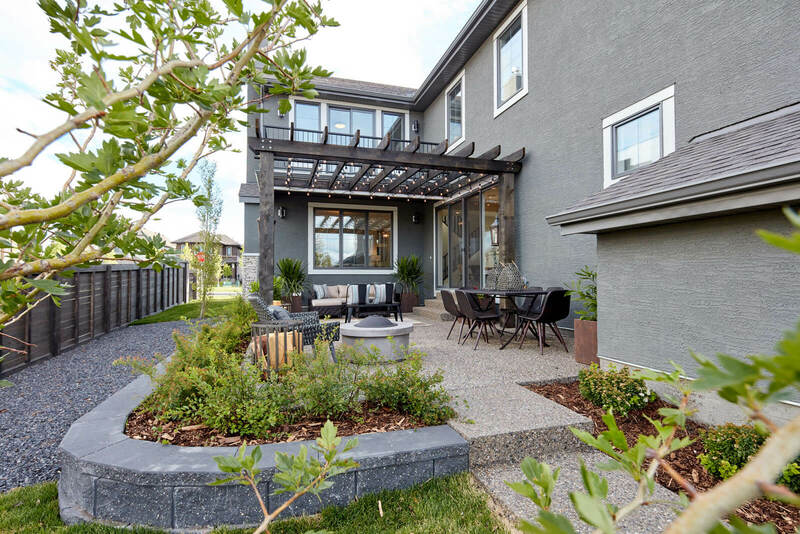 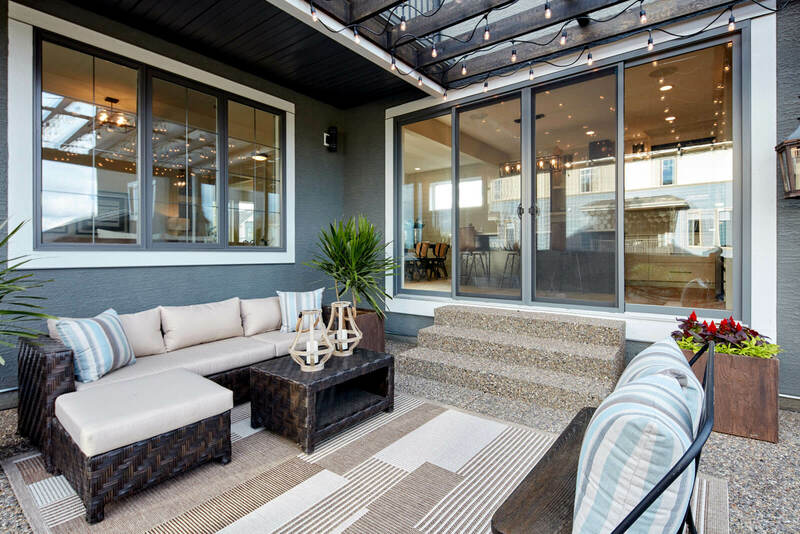 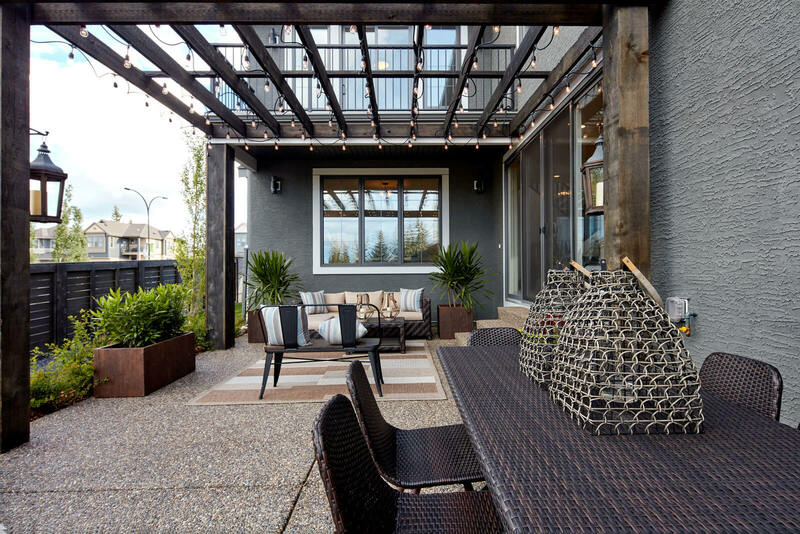 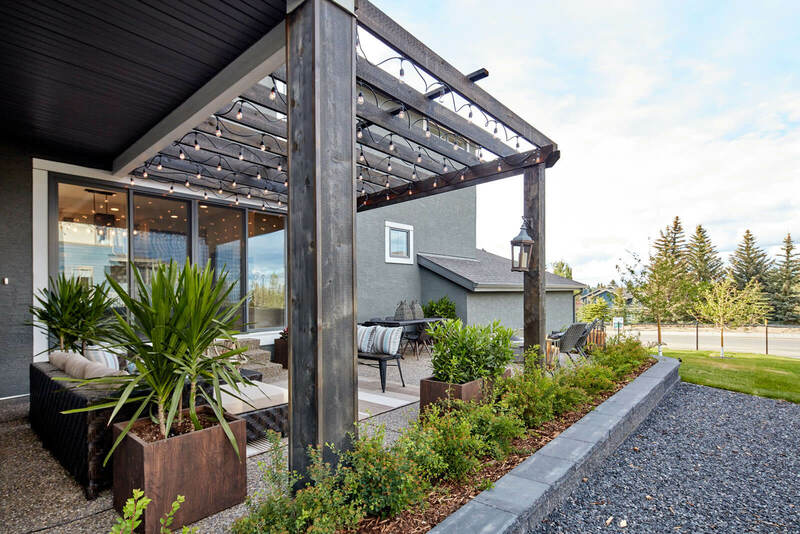 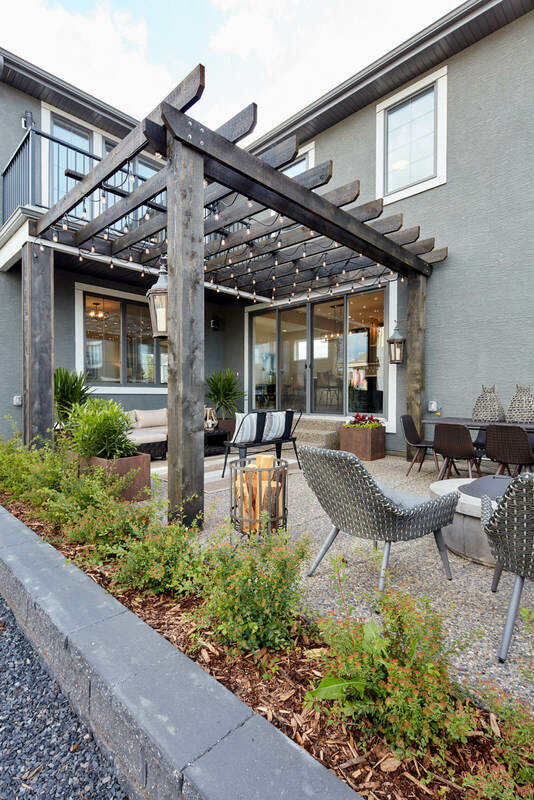 An outdoor courtyard acts as an extension of the home’s functionality, providing the perfect setting for entertaining family and friends.